When ideas and knowledge can easily be shared both within and outside an organization, pooling skills can create much better outcomes. 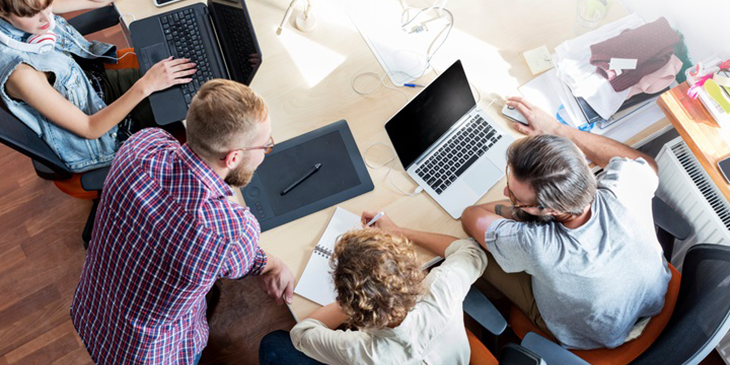 Given that contractors and teleworkers make up a big part of the SMB workforce, it’s easy to see why collaboration software has become so popular for connecting people and information where they are most needed. The latest generation of collaboration software is built to make the most of cloud computing, video chat and mobile internet technologies. Among other benefits, they allow users to manage workflows, store and search conversations, and set up group chat sessions. For SMBs that traditionally depend on email and spreadsheets, this can have major benefits for productivity, engagement and team cohesion. Slack: Designed to help reduce needless emails, Slack can provide real-time communication channels for both one-on-one and group conversations. You can choose which notifications you see and on which device, and Slack also supports video and audio chat. HipChat: Atlassian’s HipChat shares many similarities with Slack, allowing employees and other stakeholders to have discussions and keep track of them in a secure, searchable archive. Like Slack, you can integrate HipChat with many other tools to make it an all-in-one work management platform. Microsoft Teams: The big selling point of Teams is its close integration with Office 365 apps. You can create Chat channels based on work streams and topics, and you can collaborate and share your work in Word, Excel, SharePoint and other apps. Facebook Workplace: Workplace helps businesses turn ideas into action using tools already familiar to Facebook users, including Chat, Groups and instant Messenger. You can also create live video broadcasts, and you can integrate the premium version with file-sharing apps such as Dropbox and OneDrive. Asana: While most collaboration tools focus on easier communication, Asana also offers powerful project management features. Its task-focused interface greatly simplifies how you can track milestones, responsibilities and project status. Many of these collaboration tools are available in both free and paid premium versions, with the latter unlocking more advanced features. For tools like Slack and HipChat, prices typically start at about $2 to $6 per month per user. For SMBs that deal with lots of information daily and need to improve their communication game, this can be a small price to pay for what can potentially be big gains in workplace efficiency and engagement.